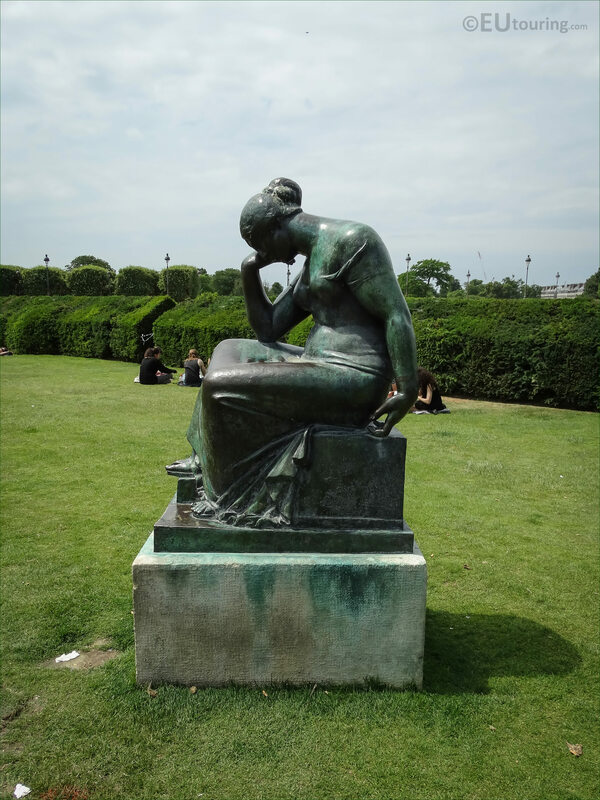 This time we were within the Jardin du Carrousel in the 1st Arrondissement, when we took these high definition photos showing a statue called Douleur that was sculpted by Aristide Maillol. 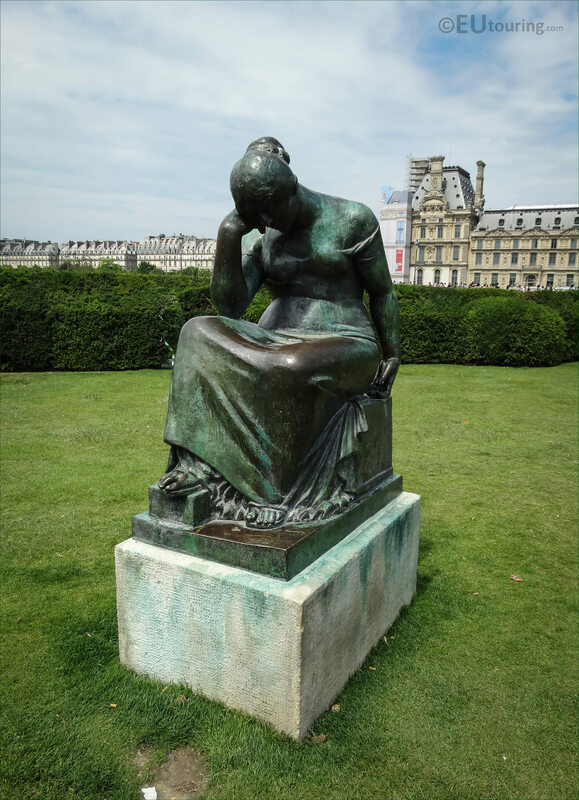 So this first photo shows the bronze statue called Douleur, which in English translates to Pain, and made of bronze this is part of a collection of statues that can be found within the Jardin du Carrousel produced by the famous artist Aristide Joseph Bonaventure Maillol. 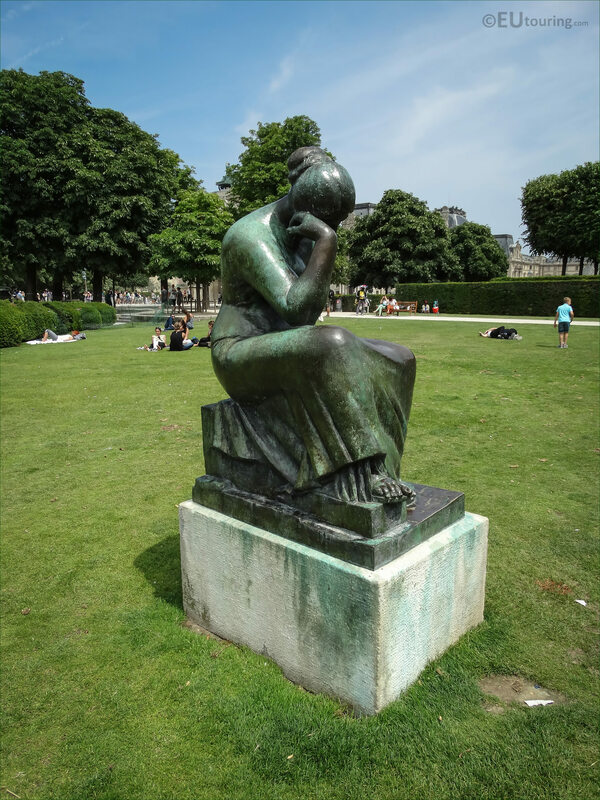 Now Aristide Maillol was born on 8th December 1861 in Banyuls, which is in the Languedoc Roussillon region of France, and even in later life he still had a home in the area, although he also had a home and studio in Paris. But Banyuls was still the place he loved, and he was commissioned to produce a memorial statue for this town along with others for Elne, Ceret and Port-Vendres after the atrocities that had taken place during World War I. 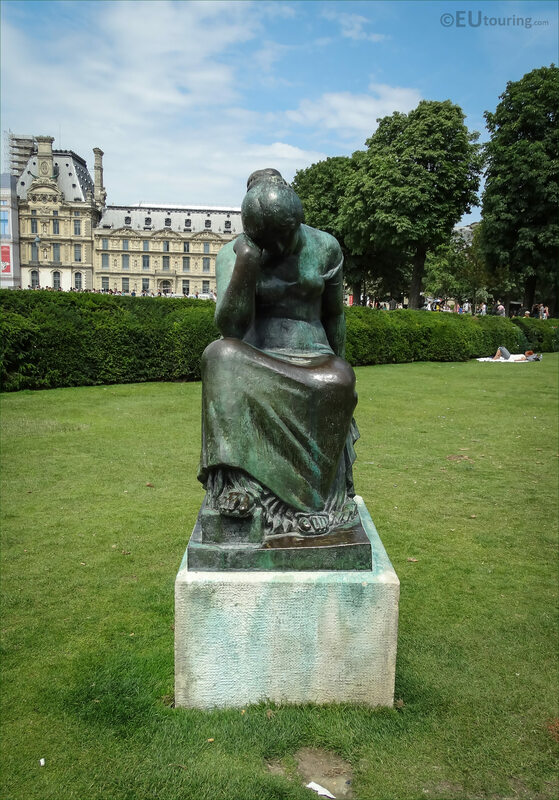 And the statue you can see here called Douleur, or Pain, was originally sculpted by Maillol in sandstone and called the Monument to the dead of Ceret, and represents a seated woman with her head resting on her hand to show grief. The pedestal of the original sandstone statue has a list of all children and youths that were from Ceret that died for France, and this statue was originally produced between 1919 and 1920 and was inaugurated in Freedom square in 1922, yet the sculpture you can see here is a bronze cast of this same monument. 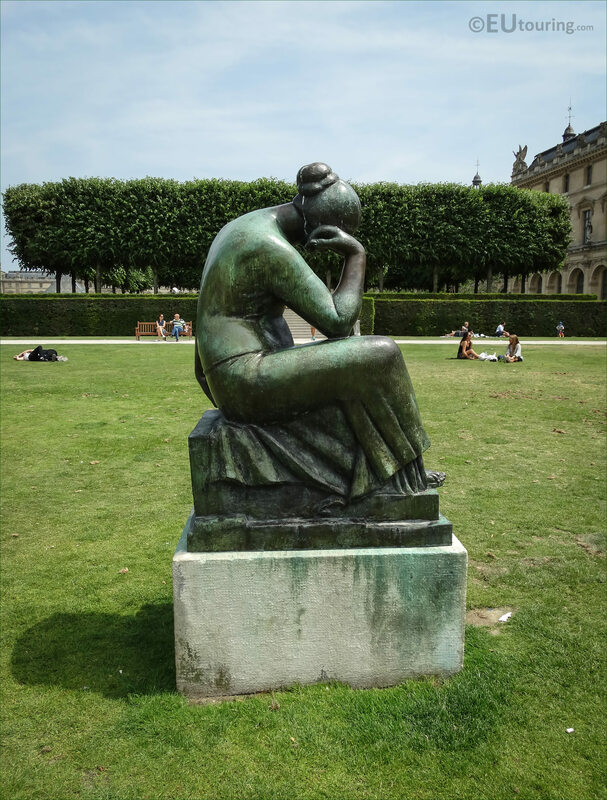 Aristide Maillol produced numerous statues of female figures, more often than not, with their hair tied back in a bun, and Dina Vierny was the model and muse of Aristide Maillol for the last ten years of his life, before he died in a tragic car accident in Banyol, yet it is through her determination that some of his statues like this one of Pain are now on display in the free public gardens in Paris. 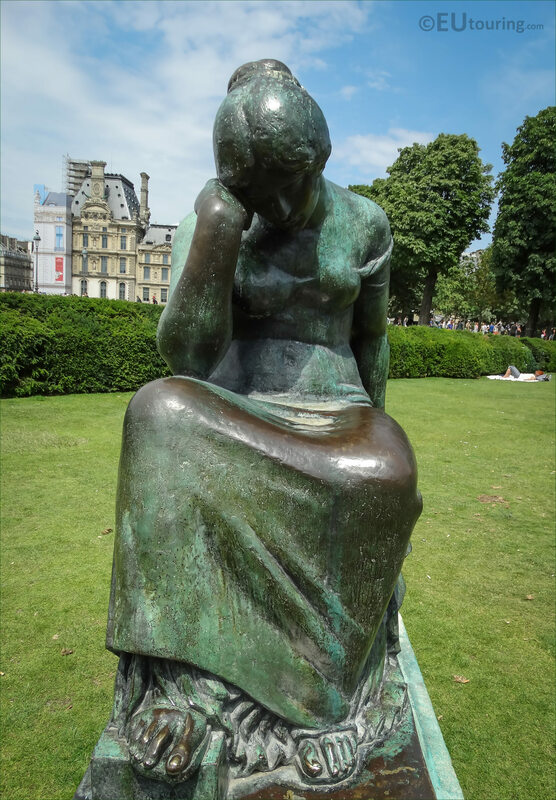 Dina Vierny donated the bronze statue Douleur along with several others to the City of Paris in order to promote his work for future generations to enjoy, and it was the French Minister of Culture, Andre Malraux, who chose the location right by one of the most famous tourist attractions in Paris of the Louvre Museum and the Tuileries Gardens. 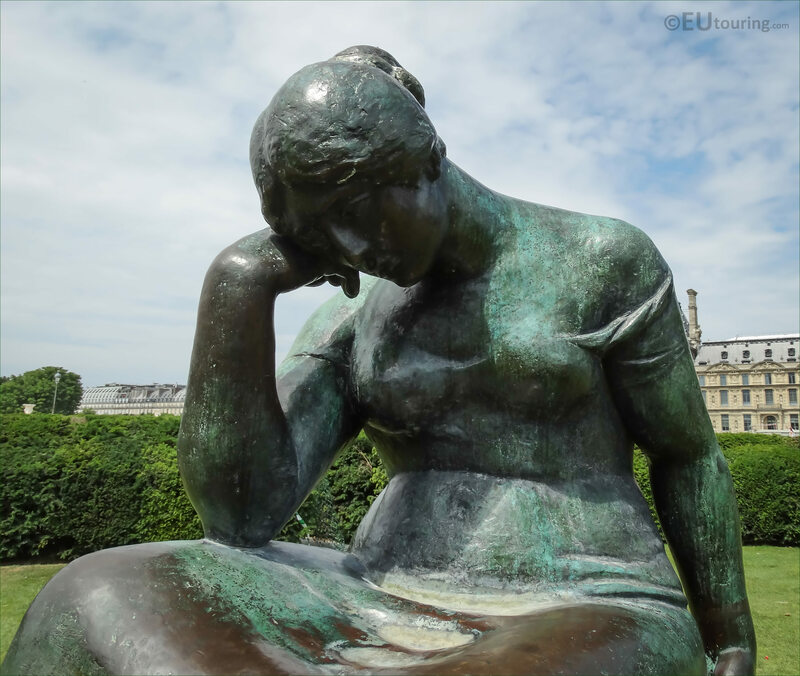 Now this close up HD photo shows the creativity and skill that went into depicting this statue, as you can just imagine the pain the woman is feeing after losing loved ones in Ceret during World War I, and this sculpture by Maillol was put in place within the Carrousel garden in 1964. 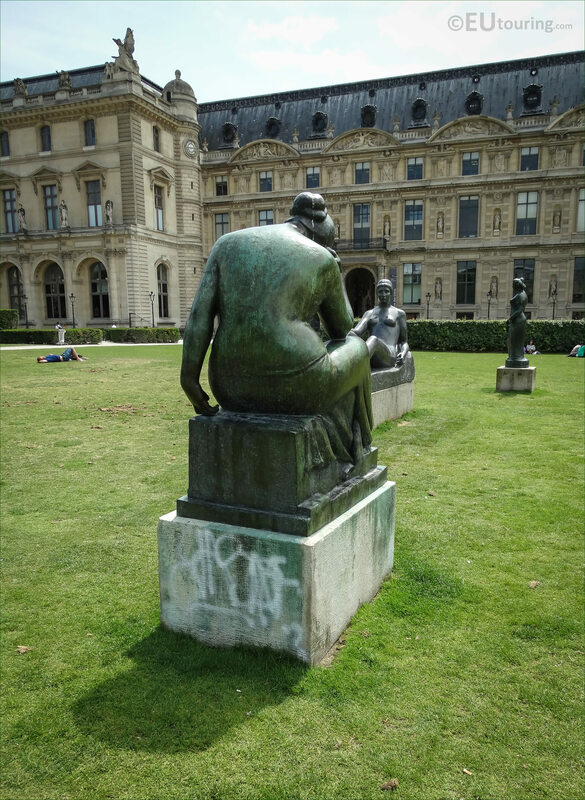 Yet this photograph shows the back of the statue called Pain, which as we mentioned is the bronze cast of the Monument to the dead of Ceret, but it is a shame that not all people have respect for arts works with the graffiti on the base, but fortunately, it has not ruined the sculpture itself. 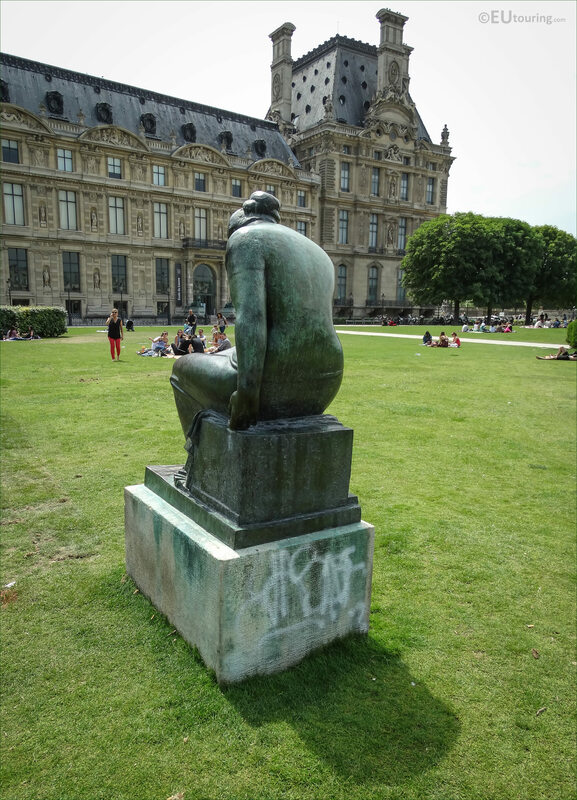 And in this last image you can see that this statue is located in the same area of the Jardin du Carrousel as some of the other sculptures that were produced by Aristide Maillol, and in the background you can see the wing of the Musee du Louvre called the Aile de Flore with the Pavillon des Etats to the left hand side of the famous former palace.